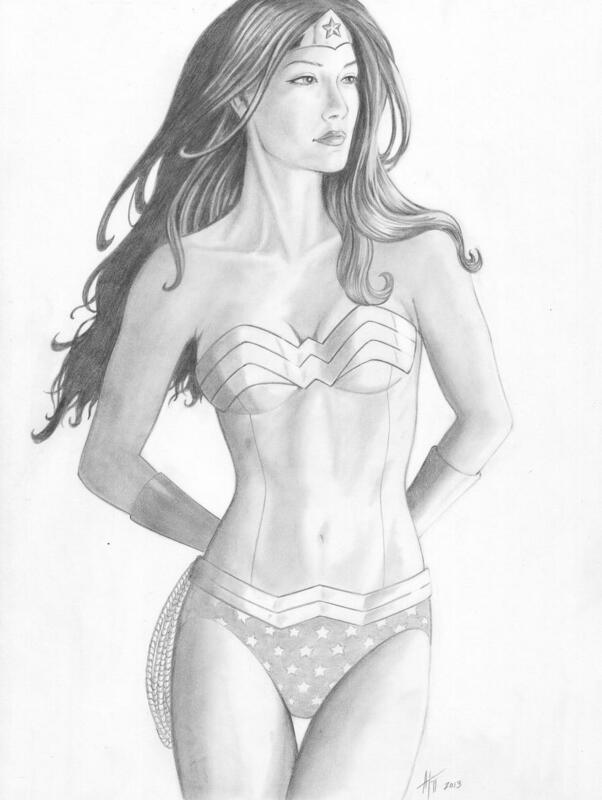 First commission of 2015. 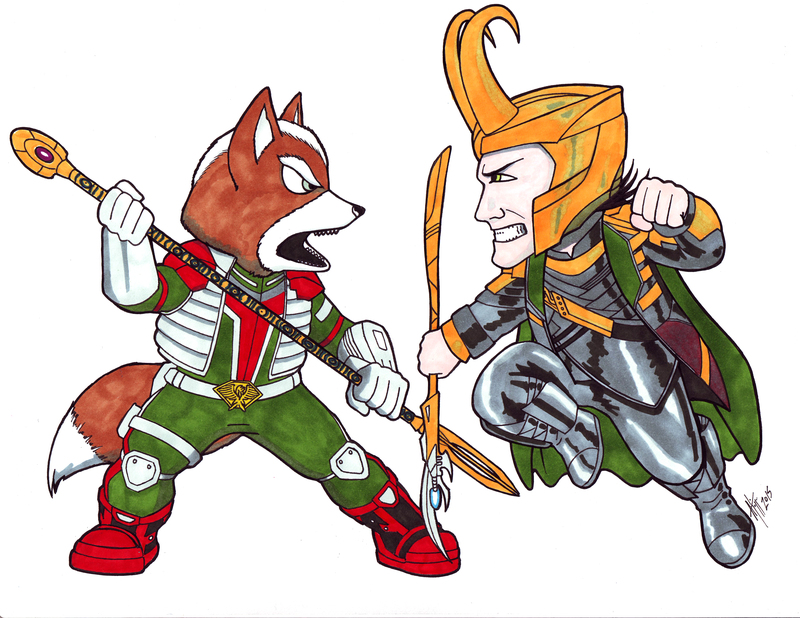 Starfox versus Loki. 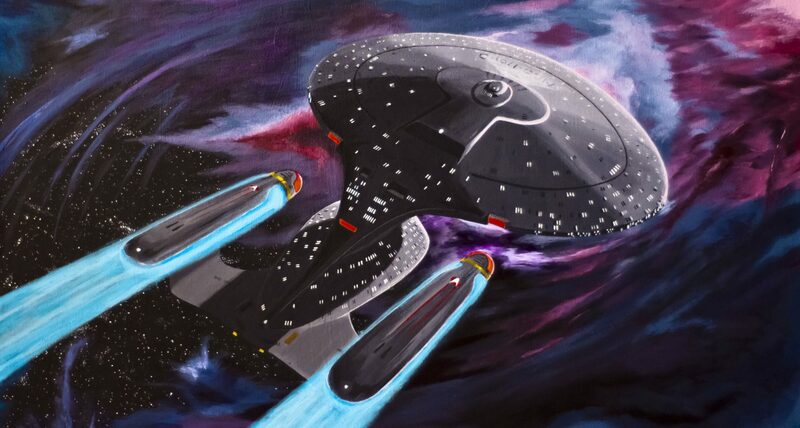 Pen and copic marker on card stock. 8.5×11. Done for a friend’s novel. 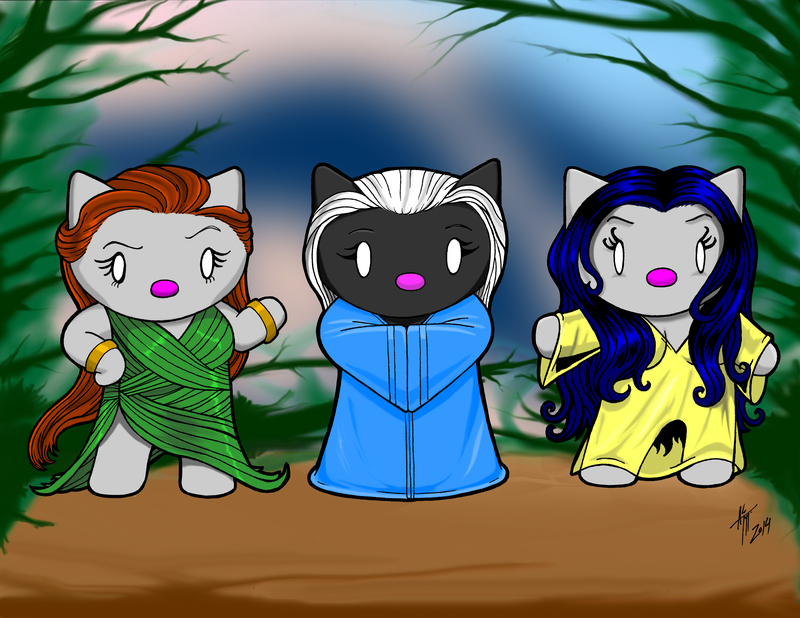 Hello kitty versions of three characters in the book. Inks scanned in and coloured in photoshop. Hello Talfyr Done for a friend’s novel. 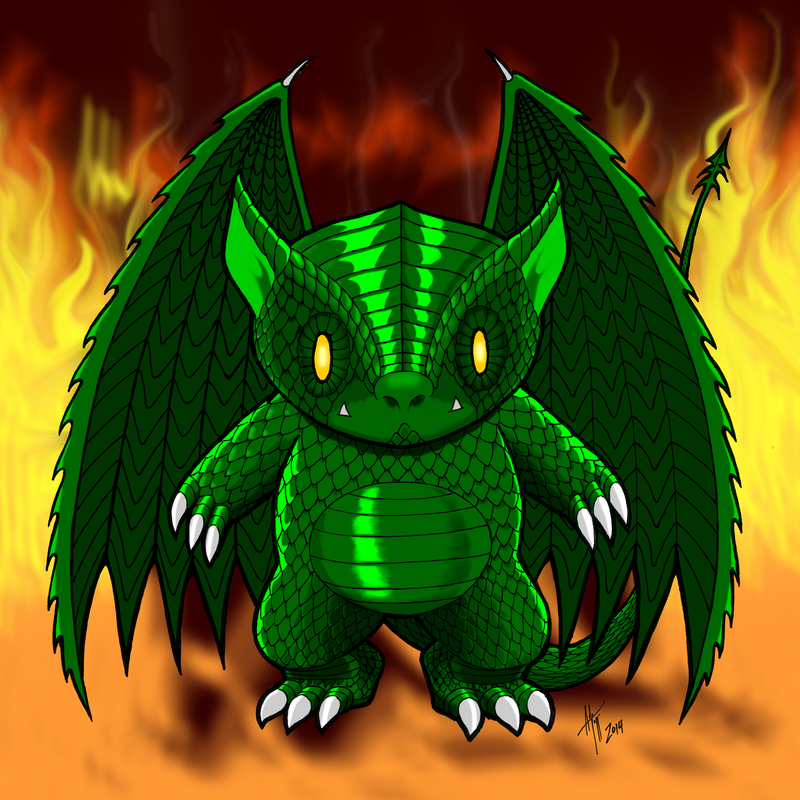 Hello kitty version of the main dragon. Inks scanned in, coloured in photoshop. 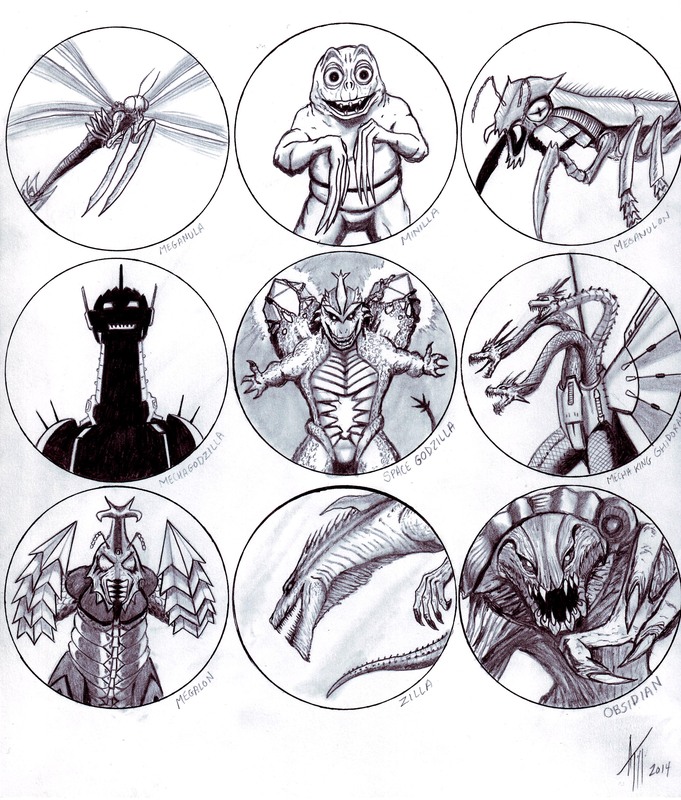 Long overdue post – Here be Monsters! 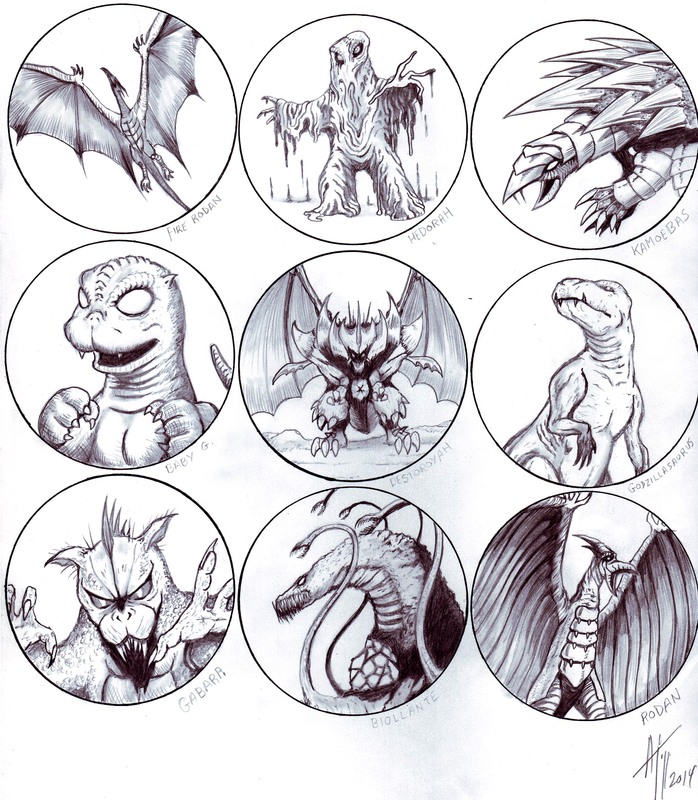 These are re-designed Toho monster images I did at the tail-end of 2014 for a friend of mine. 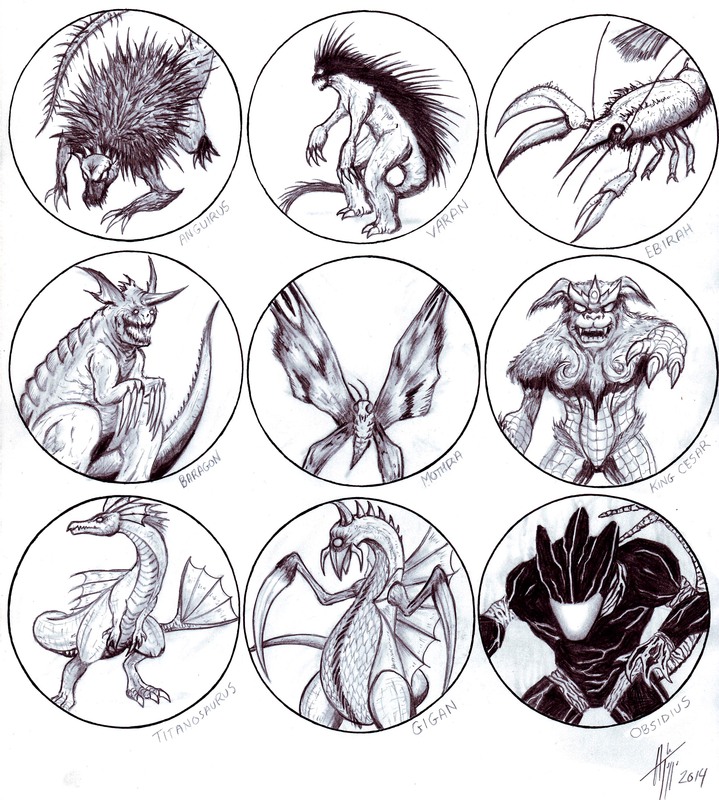 36 different monsters, or kaiju as they call them in Japan. 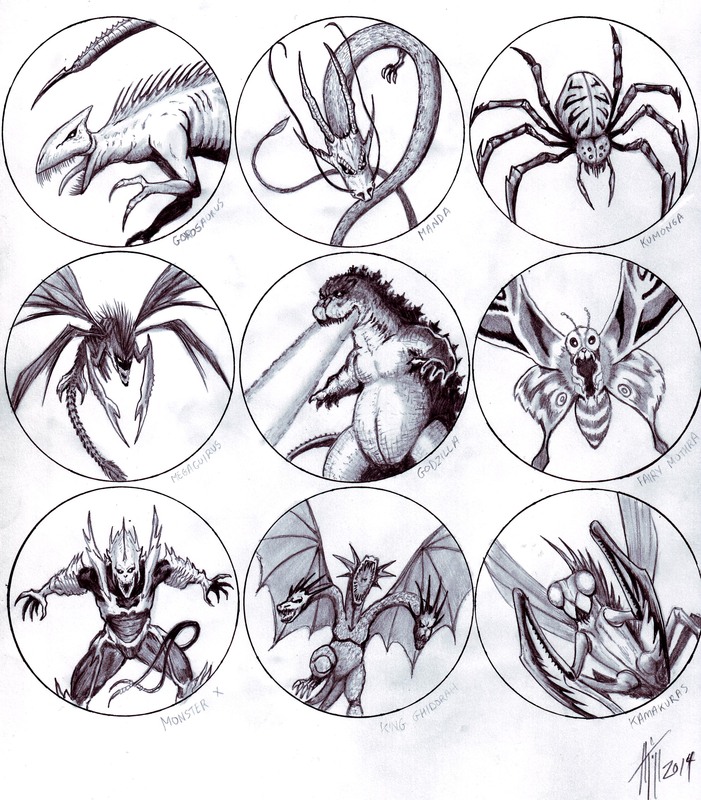 Some are very recognizable as Godzilla and his friends. Others I thought could use a more stylish update.